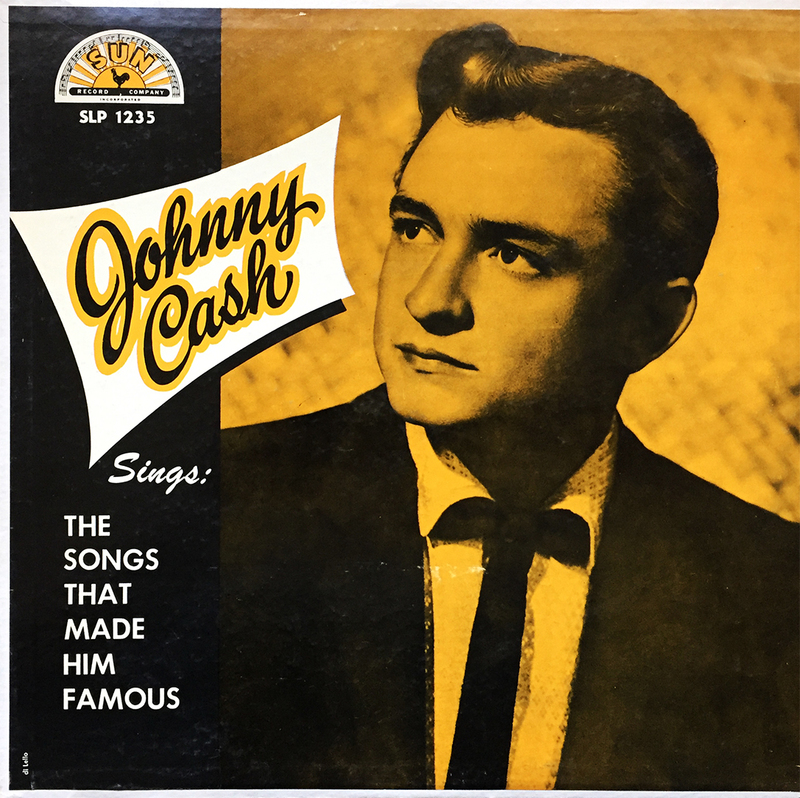 If your standard, run-of-the-mill record sleeve is referred to as a jacket, think of this simply designed, 60-year-old, thin sheath as an undershirt for your coveted records. 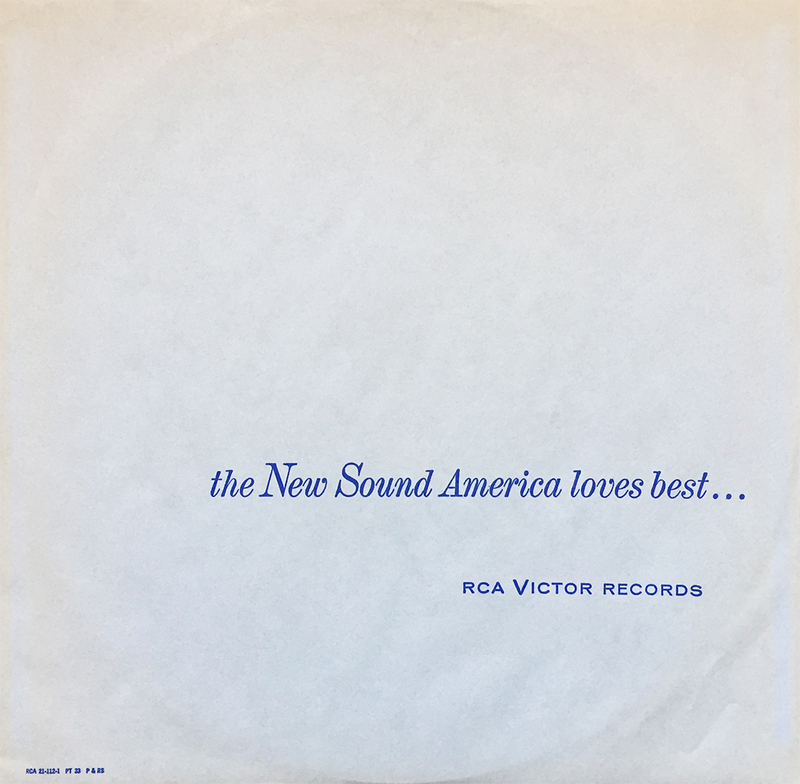 RCA Victor Records manufactured this elegant slogan in the late 1950’s (this one found inside Perry Como’s When You Come to the End of Your Day, LSP-1885 from 1958), and although I wasn’t around then to verify the legitimacy of its claim, I dig the somewhat modest approach at presenting this familiar phrase. 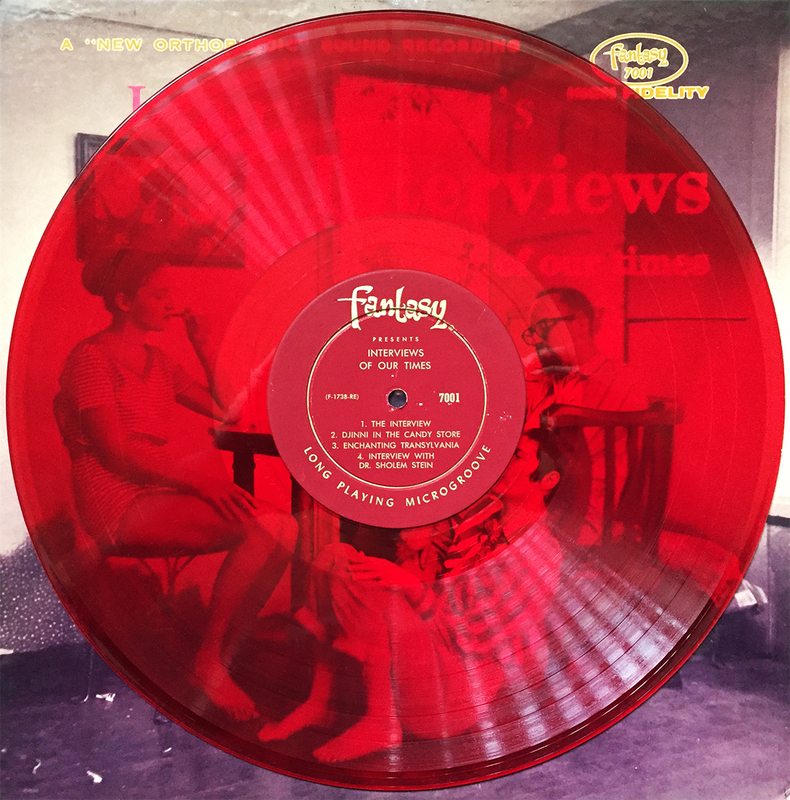 I tend to side with a company that developed and released the first 33 1/3 record and the first 45 rpm record, so it’s legit in my book. 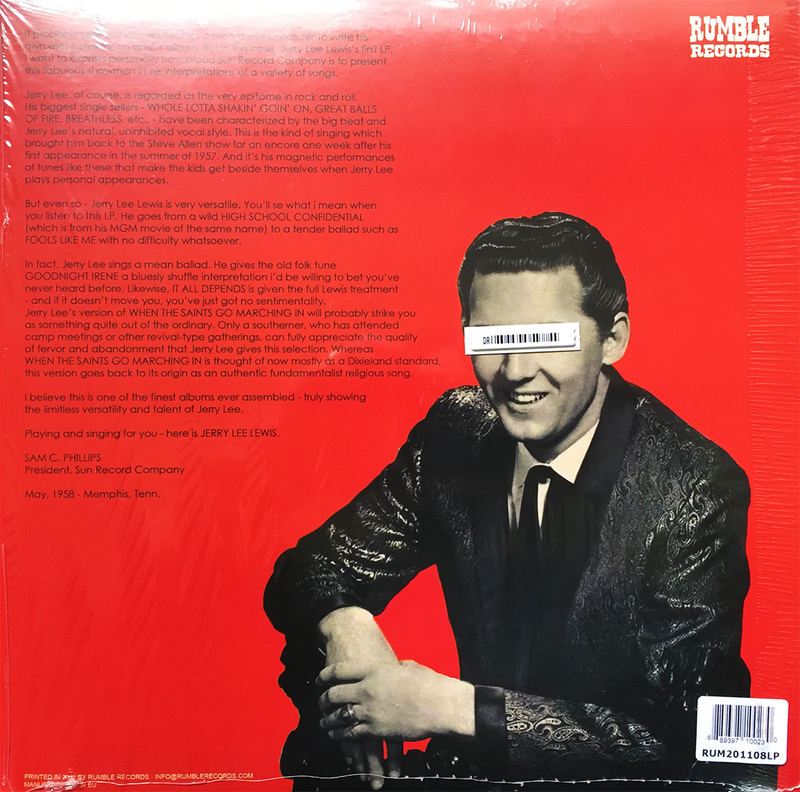 It’s nice to see that in some corners of the world (the frozen Midwest), factory sealed full length LPs such as this Buddy Holly compilation, Buddy, can be had for a cheap $12. 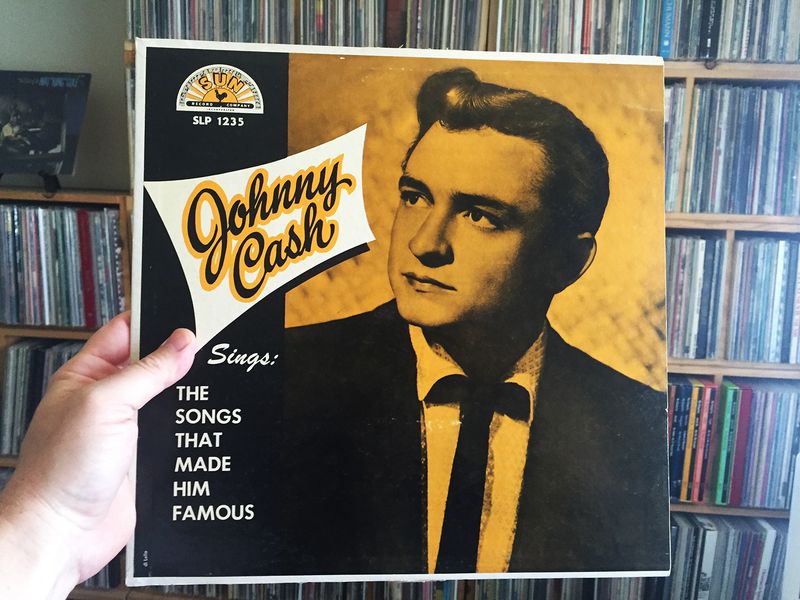 That’s a brand new record, with 23 tracks, for $12. 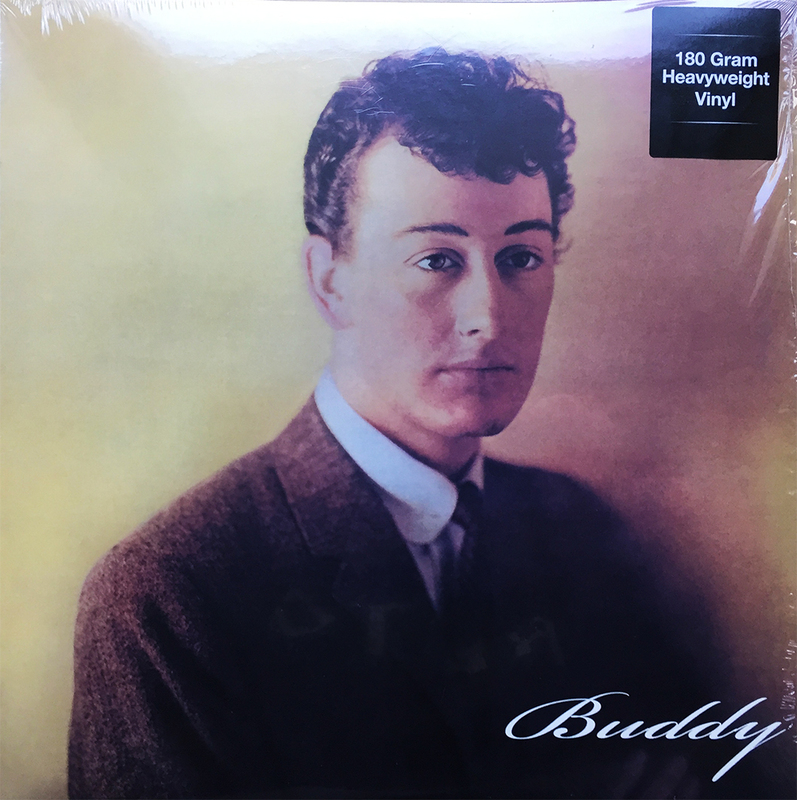 Buddy, at 180 grams, takes full advantage of the 12″ format by combining Mr. Holly’s first two albums into one LP (1958’s Buddy Holly and That’ll Be the Day). Pressed and released in the UK, I strongly suggest finding a Buddy near you. Not sure I need to own this, Doris Day’s Greatest Hits, but here it sits… unplayed, and mocking me while it takes up precious shelf space. 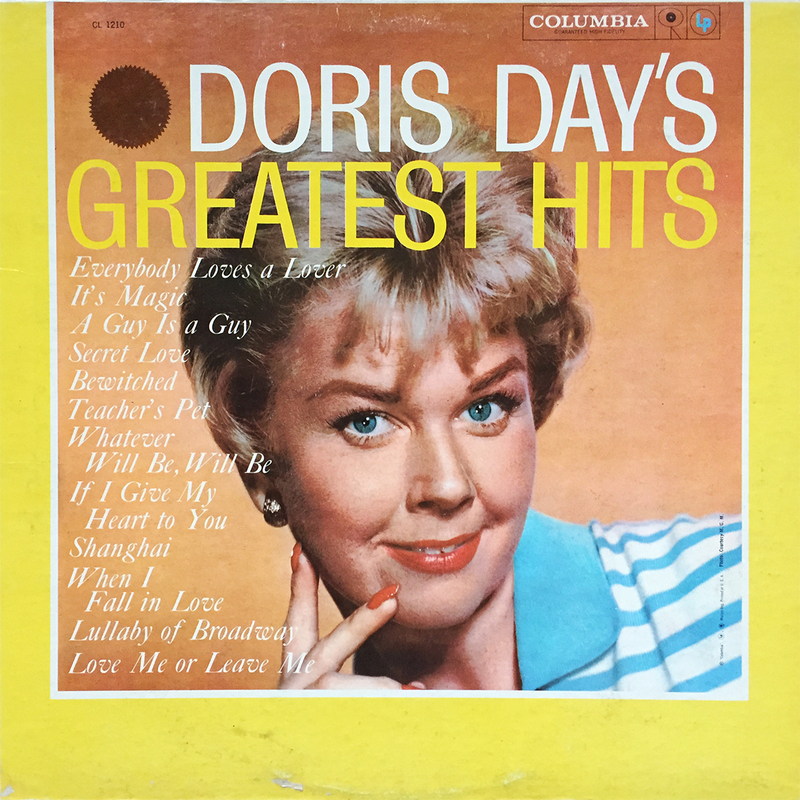 Doris Day’s Greatest Hits was released in 1958 on Columbia Records. That’s all you get, you magical goat. Completing a set is always something of a “cheers” moment. 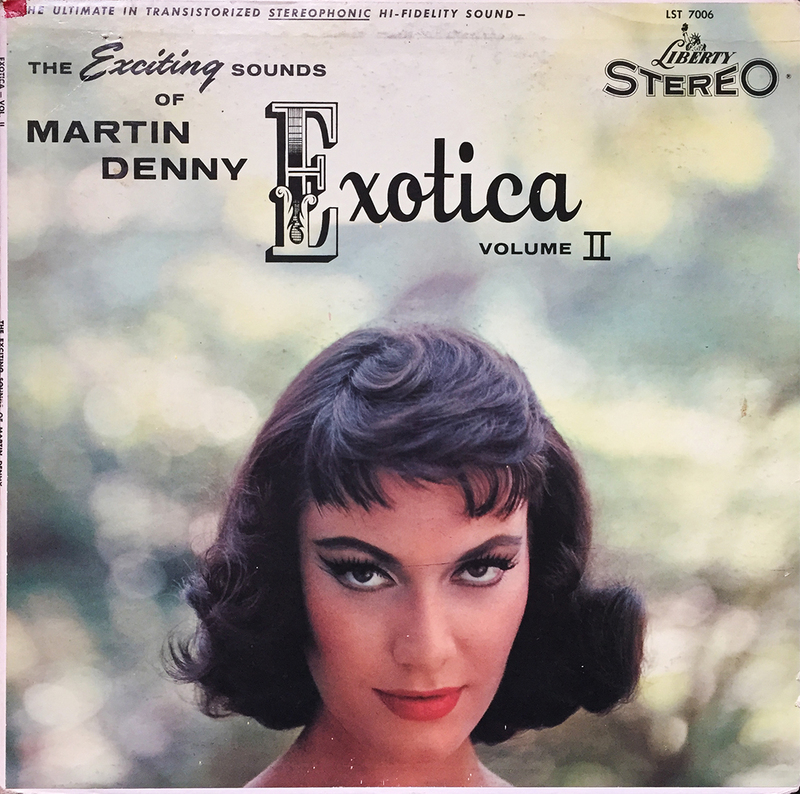 So when I finished off my Martin Denny Exotica collection (Volumes I – III) just the other day for only $0.92, well, that’s certainly cause for some sort of celebratory “cheers.” Yes, it’s Space Age Pop, yes there are birds, and yes, you’re gonna’ love it. 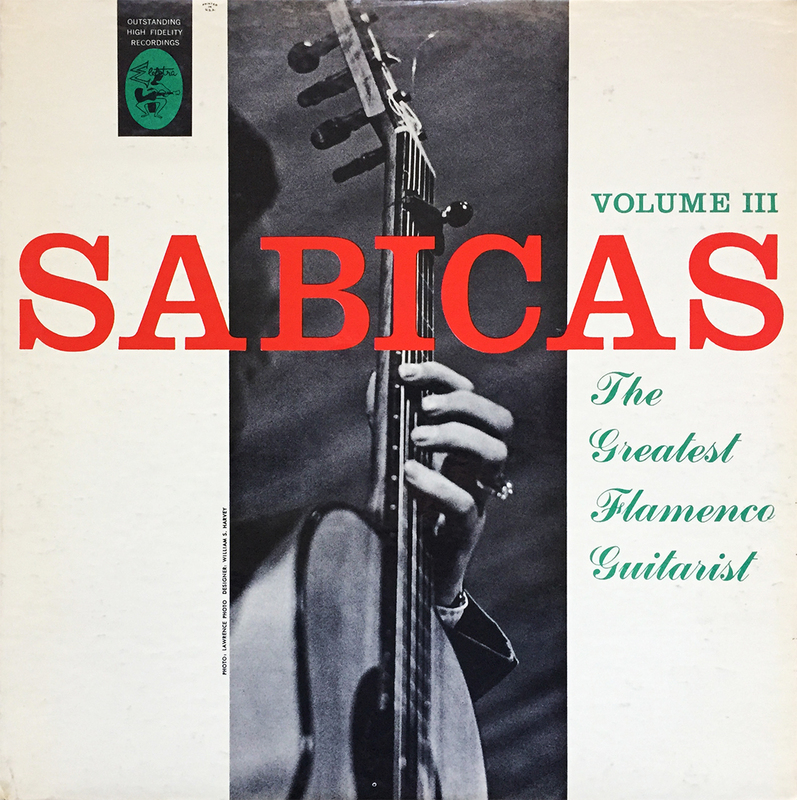 Agustín Castellón Campos, better known as world-renowned Romani Flamenco guitarist Sabicas, released a back-to-back-to-back onslaught of wicked Spanish-folk with his Sabicas Volume 1 – Volume 3 (1957 – 1958) for Elektra Records. While currently on the hunt for Volume 1 and 2, I can say without hesitation that Sabicas, in any volume, is a terrific way to start out the week. Be on the lookout the next time you wander into your local brick & mortar. You’re welcome. 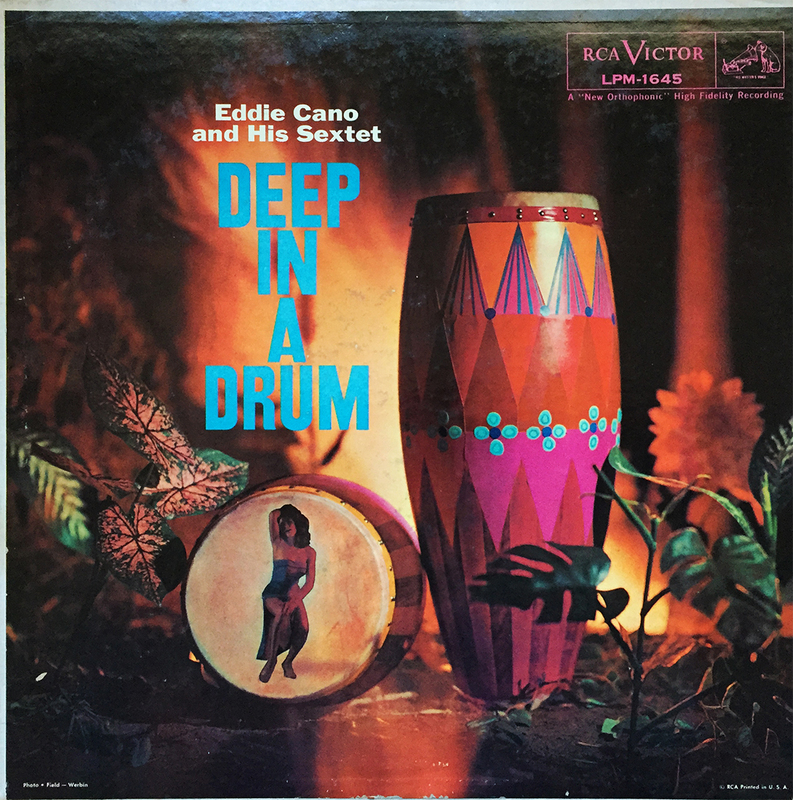 Fire up your lukewarm evening with the penetrating percussion of Eddie Cano and His Sextet with their 1958 debut, Deep in a Drum. 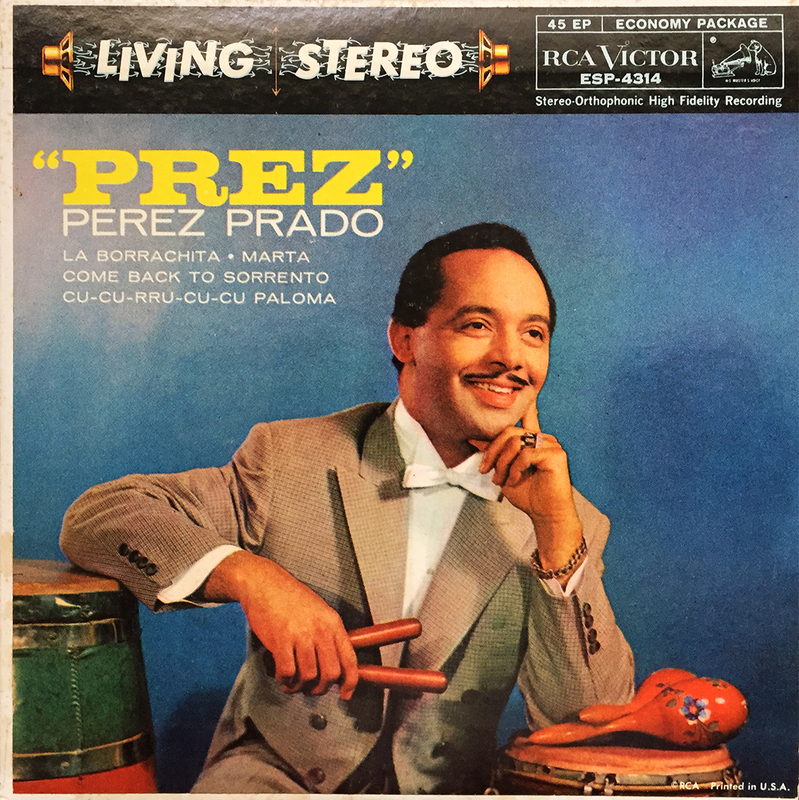 Think Calypso, with a musical journey through thundering, yet succinct percussion (mainly congas and bongos). You’ll dig it. Dancing ladies inside conga drumheads spun separately. 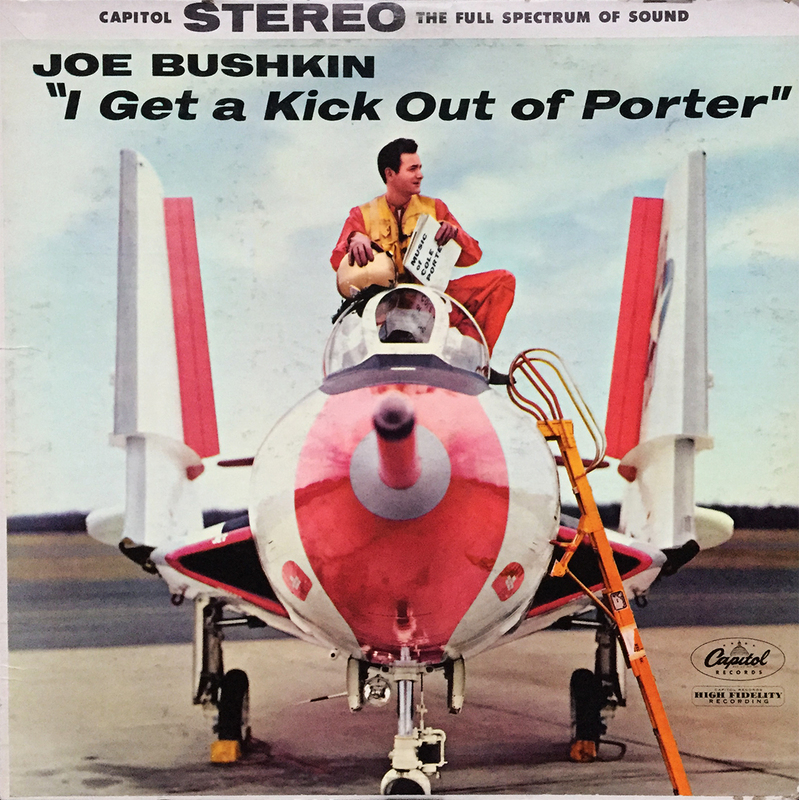 I don’t know much of Bushkin outside of his 1958 album, I Get a Kick Out of Porter, and what little I know about him I learned from the back album jacket. 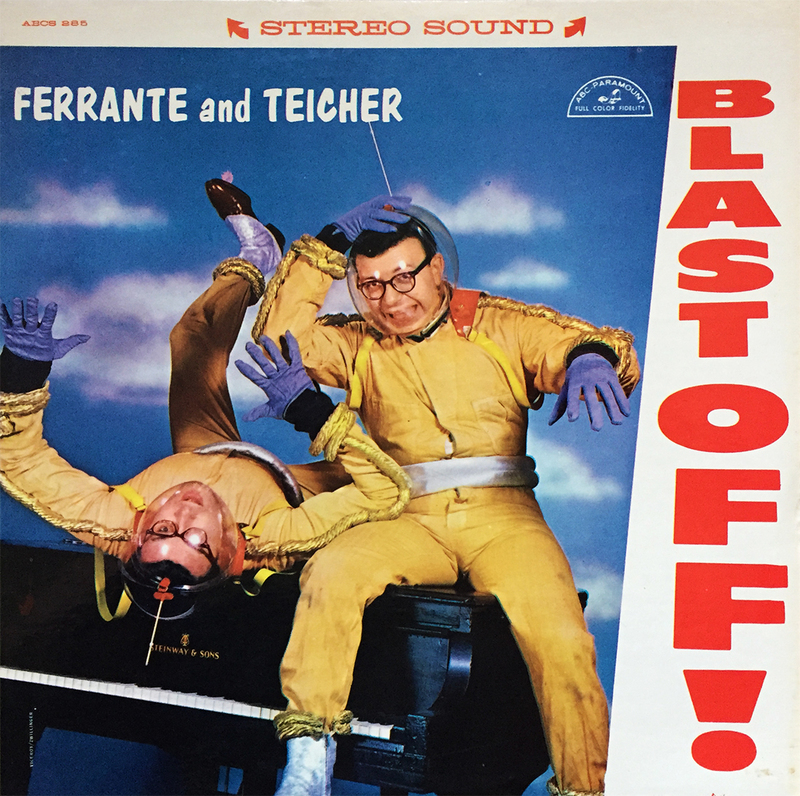 Aside from being an acclaimed songwriter and composer, apparently he was an avid jet flyer as well. 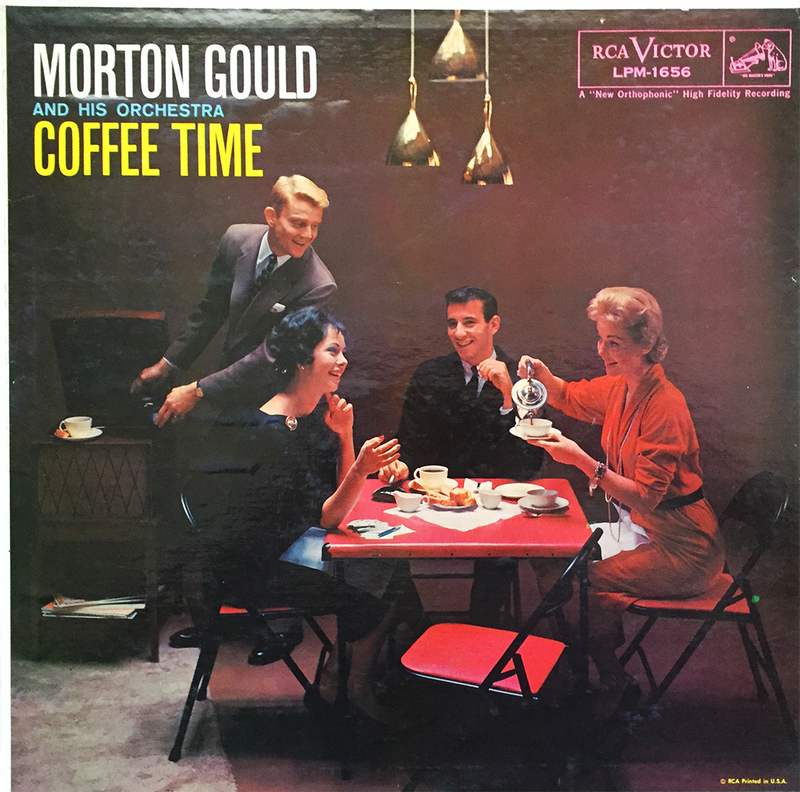 One could gather as much from the cover photo, but one can also chalk this late 50s album up to “heavy cheese” or, at least that’s was my thought when I picked it up at the local record shop a few days ago. 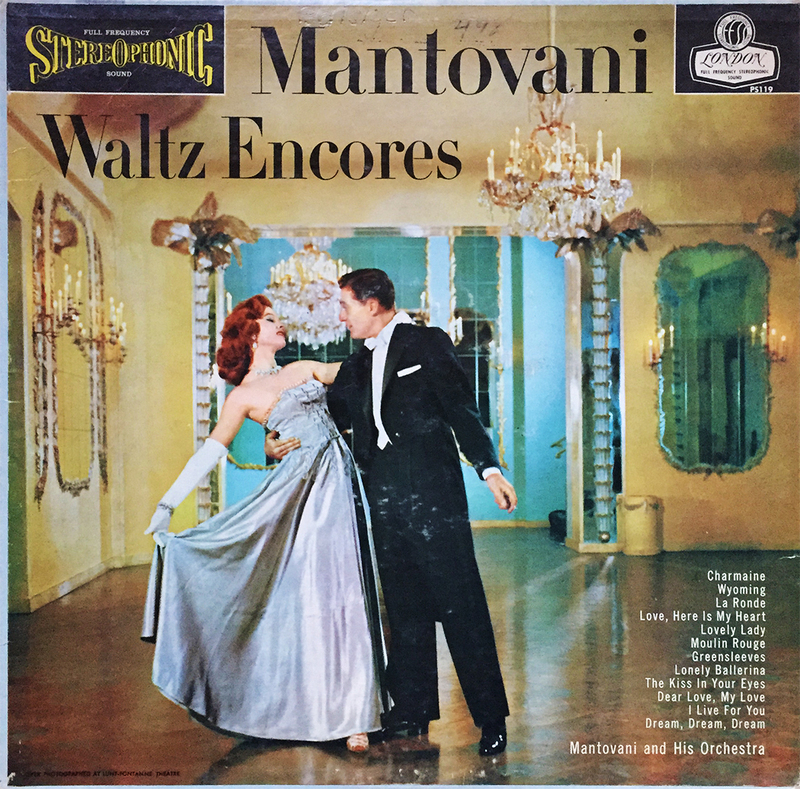 Ok, now to the music. 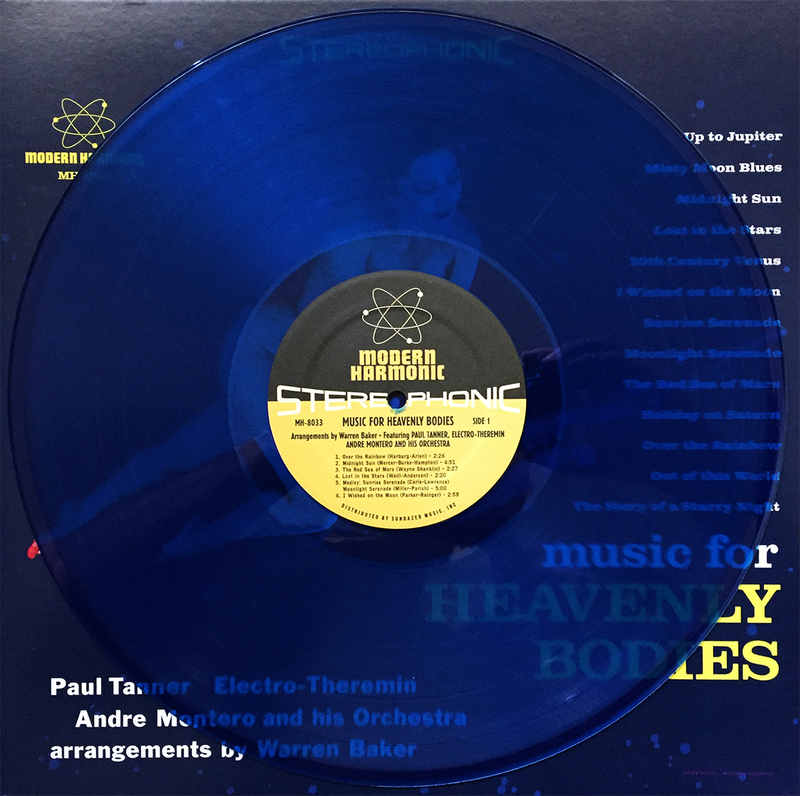 I Get a Kick Out of Porter is energetic, late 50s jazz piano. Sophisticated, but not violent. 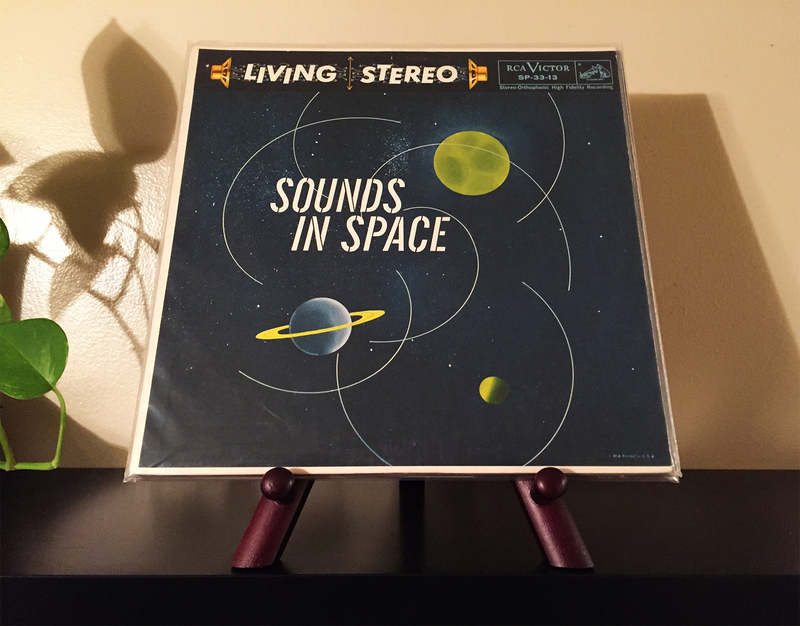 Like with many other late 50’s jazz-fused Space Age Pop, it’s perfect living room music for evenings with a loved one. I bought it for the cover, but I’ll keep it for the vigor. 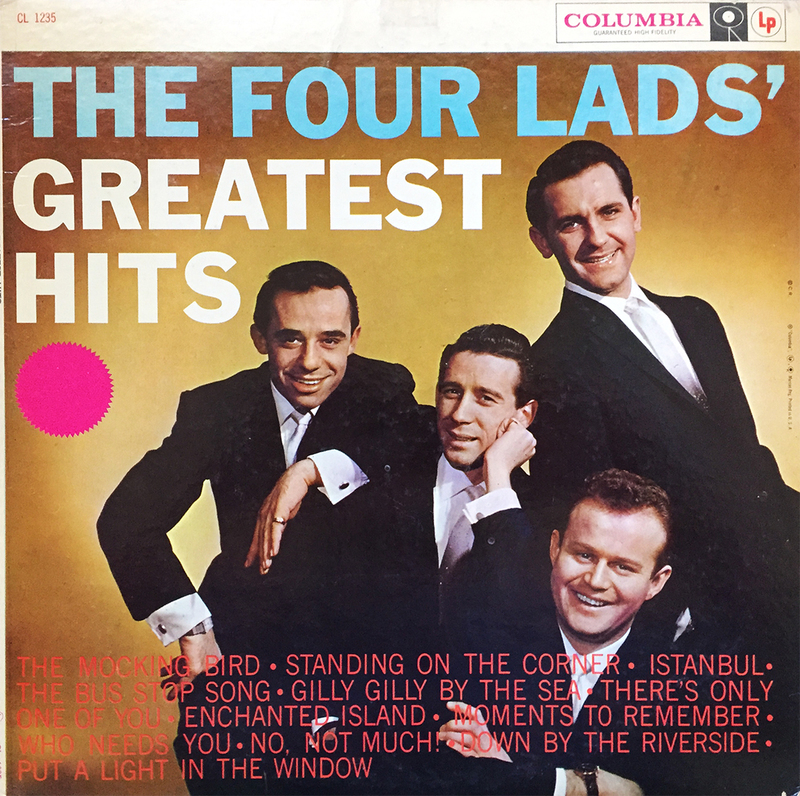 You have to go way back to July 17, 2013 for the first Groove post on fine quality Columbia Phonograph ad-serts. 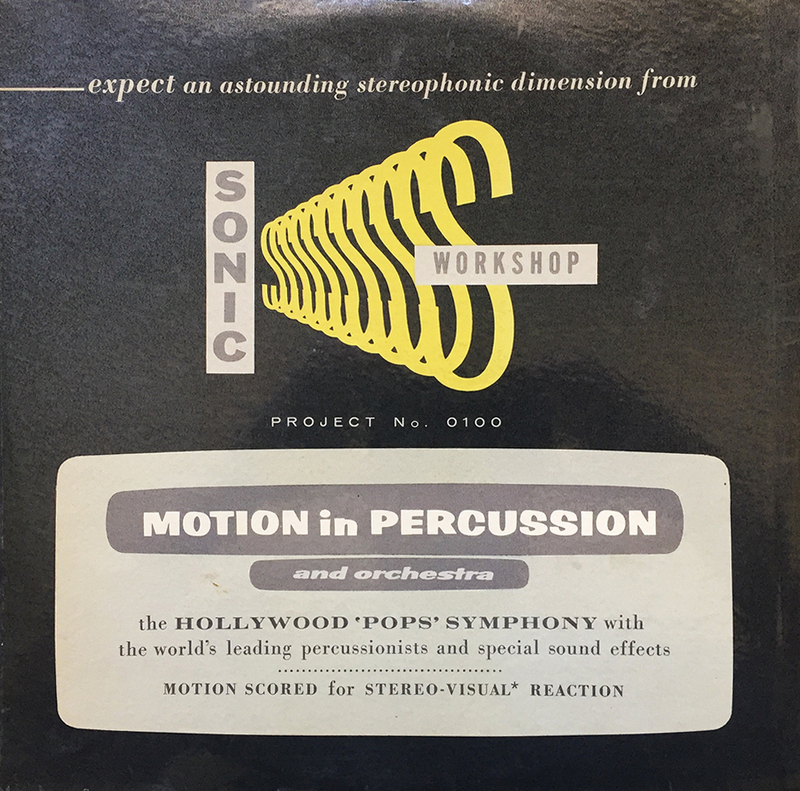 As you’ll recall, “Listening in Depth” is a buzz term used by Columbia sound laboratories to promote their seemingly revolutionary Directed Electromotive Power (D.E.P.) phonograph console. Featured here is Model 535 which boasts and brags about all the same cabinet wood finish variations as Model 532, but ups the ante in overall power and sound quality (if only marginally). This beautiful piece of 1958 machinery would go perfectly in any (or every) room in my house, and I’ll personally shake the hand of the first person to send me one. Email me for shipping address.